Located in the heart of the city in a Baroque mansion on Tverskoi Boulevard, Café Pushkin attracts both Russia's sophisticated beau monde and curious foreign tourists. Moscow is not only a city that never sleeps, but it is also one that eats 24 hours a day. It is possible to try gastronomic delicacies and well-prepared traditional food after midnight in several Moscow restaurants. They will offer the sleepless a full-fledged daytime assortment of dishes: from cranberry marmalade and pike head to grilled cheesecake. The center of Moscow's restaurant life for people who can afford Russian aristocratic cuisine in its best bygone traditions. Located in the heart of the city in a Baroque mansion on Tverskoi Boulevard, the restaurant attracts both Russia's sophisticated beau monde and curious foreign tourists. 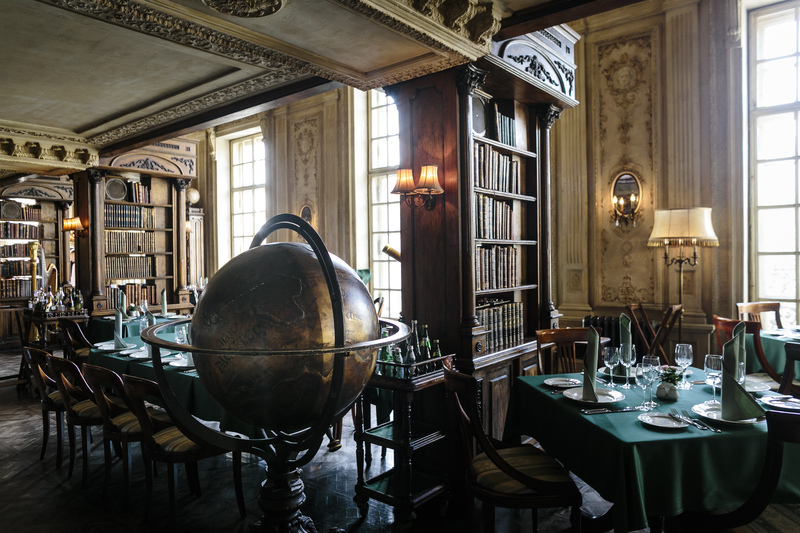 The interior is full of antiques and the menu – rare dainties. Opened in 1992, Pushkin is a "must see" for everyone, just like the Bolshoi Theater and the Kremlin. Black caviar, pike head, imperial ukha (chowder) with ginger vodka and homemade preserves made from spruce cones – all this is served to the accompaniment of Alexander Pushkin's poems, even at night. The whole experience will cost a pretty penny, but it is also possible to eat something very good and not particularly expensive. For example, a big plate of excellent pelmeni (dumplings), either with salmon or various meats, will cost about $15. Restaurant critics consider them the best in the city. There is nothing ridiculous about breakfast at night if you are in Moscow. The restaurant's specialty is round-the-clock breakfasts from all over the world. There are 27 of them on the menu at a price of about $7, from ordinary fried eggs sunny side up to more unusual dishes. What’s more, chef Alexei Beryozin serves the classical recipes in an original manner. For example, in Eggs Benedict the egg is not served on a muffin, but on a rösti with spinach and hollandaise sauce. Or try the Kyukyu (an Azeri omelet with cheese and spinach), to which he adds mozzarella, before serving it with sheep cheese. Guests receive a 30-percent discount if they order a dish from a country in which it is currently breakfast time. This is a meat restaurant with an emphasis on Soviet recipes (a combination of Russian, Caucasus and Ukrainian cuisine). It is worth coming here for a hot, juicy piece of meat and for the light and refined appetizers. Bochka is a two-storied chalet-type building: unhewn wooden beams and a brazier in the middle of the room on which young steers are cooked on a spit over birch coals. Nocturnal guests are unlikely to be able to try the steers (usually they are prepared at 8:30 p.m. Moscow time), but head chef Igor Bednyakov cooks everything else round the clock. The menu has 15 grilled meat dishes, mushroom spawn with cranberry preserves, an imperial chicken cutlet with baked pumpkin and apple-mustard sauce, as well as homemade éclairs and a very delicate classical Napoleon cake. For lovers of the "brutal" grill there is Meatless, a meat restaurant that is open around the clock. "Brutal" is what guests call the food here (in a good sense), as well as the head chef, the bearded and tattooed Andrei Zavarnitsin. Zavarnitsin previously worked with American restaurateur Isaac Correa, who left a vivid mark on restaurant life in Moscow. Whether it is a lamb shoulder blade or a cheesecake, the Russian chef’s dishes are always bestrewn with ash. The menu is divided into sections called "Grill 100%," "Before the Grill," "Instead of the Grill" and "After the Grill." Everything passes over the fire: the Caesar Salad in black sauce with grilled turkey, the octopus with garlic sauce, burgers and even the dessert. A classical American diner in Moscow, it has waiters on roller skates, jukeboxes, Elvis portraits, a pink Cadillac inside the premises and of course, huge portions and juicy burgers. The food here is unquestionably better than at KFC or McDonald's and the atmosphere is also quite invigorating: Every half hour the music is cranked up and in the middle of the restaurant the waiters perform dances from the 1950s. There are also chocolate brownies and delicious milkshakes served in tall glasses.